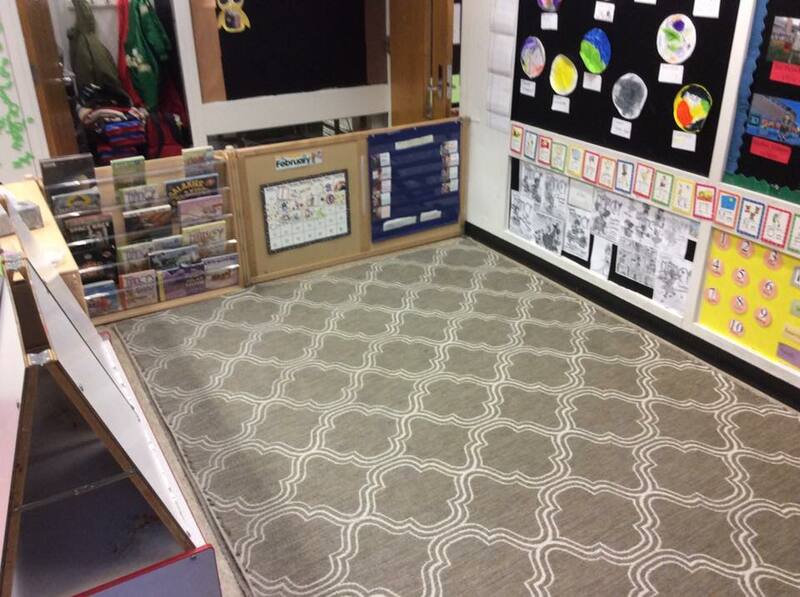 Three- to five-year-olds are active, curious, and eager to learn. Our preschool programs provide many opportunities for the children to test out their developing bodies, intellects and interests. The three classrooms offer various interest centers which encourage a creative, hands-on approach to learning and discovering. 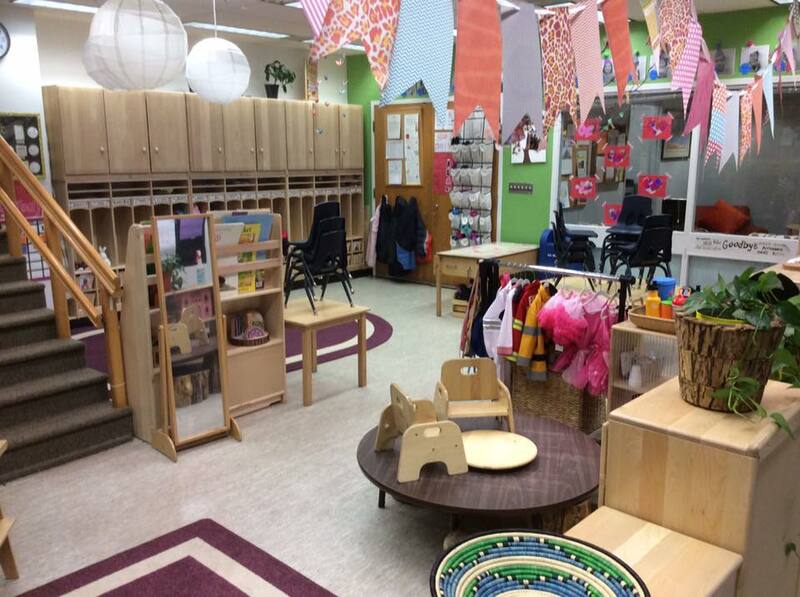 Through the Creative Curriculum program, the classrooms offer a variety of activities and materials that encourage manipulating, experimenting and problem solving. Our preschool program is divided into three classrooms; a mixed toddler-preschool class, a three year old class, and our 4 year old pre-kindergarten classroom. The Junior Preschool classroom is a mixed group of toddler and preschool children ranging in ages from 2 years 6 months to 3 years 3 months. The children are ready for a more challenging program, but still within a small group setting. 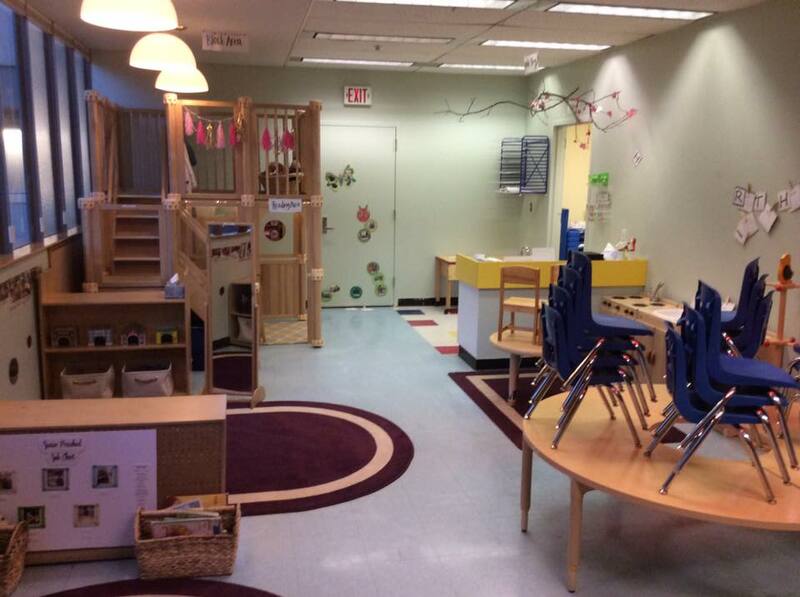 The program serves as a transition room between the toddler and preschool classrooms. In addition to working on the children's cognitive and physical skills, the teachers encourage the children's self help skills, social skills, problem-solving skills and independence, which prepares the children for a larger group setting. The older preschool program, our pre-kindergarten classroom, gives each child the opportunity to acquire those skills that will enhance his or her future success in Kindergarten. We continue to work with the children in building positive social interactions with others as well as developing a love of learning. We build upon their individual skills by working with them both individually and in small groups and continue to build a solid foundation in literacy, math, science, social studies, the arts, and technology. More emphasis is placed on number and letter recognition, writing skills and pre-reading skills. The children learn about other countries including the culture, traditions, clothing, food and lifestyle, which brings awareness of how other people live around the world and around them. This will help prepare the children successfully for the next learning experience when they leave TCC and enter Kindergarten.